Be legally able to work in the U.S.A.
Be willing to sign mandated reporter agreement according to California state regulations for individuals with direct contact with children and dependent adults. In order to apply simply fill out the online application and questioner; it will be routed directly to our www.info@ucpie.org e-mail address. Your application will be reviewed by a Human Resources representative. Should you be selected for an interview our office will call you to the number you provide. Thank you for your interest, we look forward to adding another valued team member to our organization! 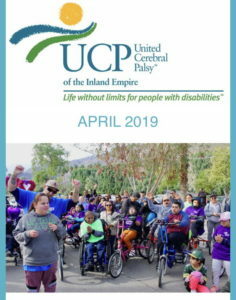 I, undersigned applicant, do hereby authorize United Cerebral Palsy of the Inland Empire to investigate all statements contained in this application. I understand that any misrepresentation or omission of facts called for in this application of future employment interviews with UCPIE is call for dismissal. With what ages are you willing to work? Are you willing to change diapers? Are you comfortable working with total care non-ambulatory clients? Are you willing to lift? Are you ok with households that have pets/animals? Do you prefer a non-smoking household? Are you willing to care for clients with siblings? If referred by family or friend are you willing to work with other families? In what areas are you willing to work?